Sealskin will no longer be used for sporran manufacture. It’ll be ponyskin instead. Anthropologie has a very pretty catalogue full of very pretty clothes and a whole heap of pretty horses. A South African pony called Bertie kicked a pit bull in the head after it attacked his nads. Champion racemare Sariska has been retired after deciding, once more, that she would rather not run today thank you in the Prix Vermeille in Paris. I’m finding polo championship websites pretty atrocious to negotiate, but I think this means that the all-female England team came third in the European Championships in Vienna last week. Competitors are arriving in Kentucky for the World Equestrian Games which kick off with reining on the 25th September. Dressage superstar and fan of “”low, round and deep“”, Anky Van Grunsven, will represent Holland in the western event. 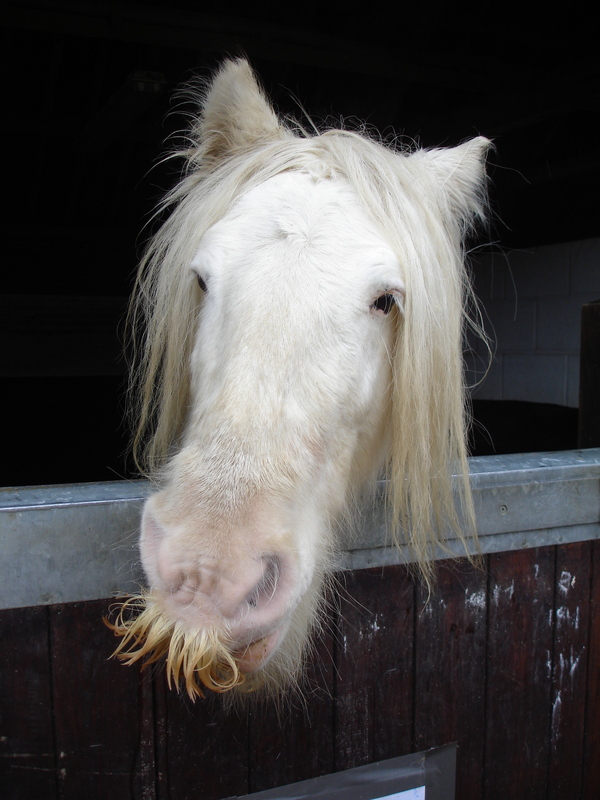 Does ranty equine welfare blogger Fugly Horse of the Day practise what she preaches? Accusations in posts and comments on Fugly Horse of the Day Review suggest not. If you want to investigate, do go read through, but the “review” blog doesn’t gather up the details and put them in one place for ease of reading, so it may take you a while. Horse bones are among a collection discovered at an Iron Age site in Sutton. Archaeologists think they may have been sacrifices. Interesting, as I’m not sure from my own reading that there were many equine sacrifices in ancient Britain – horses were a scarce resource and expensive to feed – though I could be wrong. The last son of Secretariat to stand at stud, Tinner’s Way, has retired. AND FINALLY – I am delighted to see that the traditional practice of little girls taking ponies into houses is being upheld.